14 July is Bastille Day in France - happy felicitations to any French reraders. 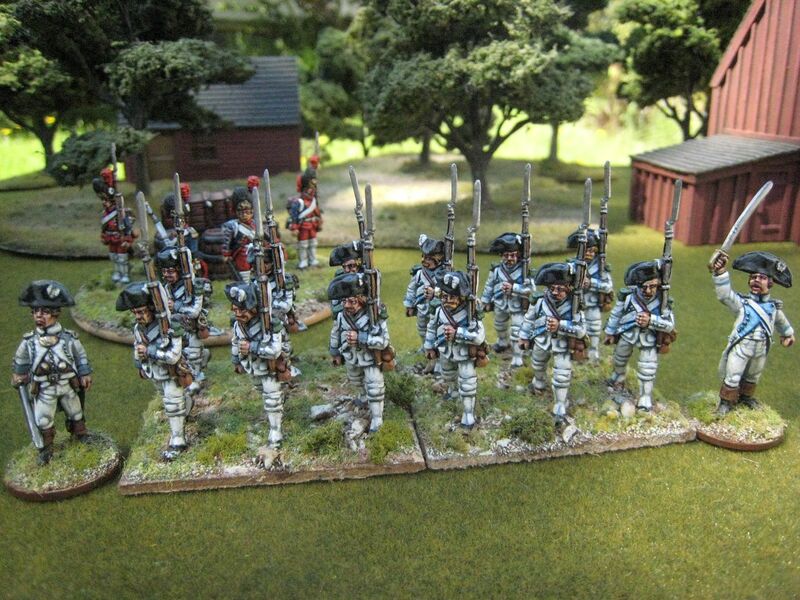 So it seems appropriate to post some photos of my AWI French troops. 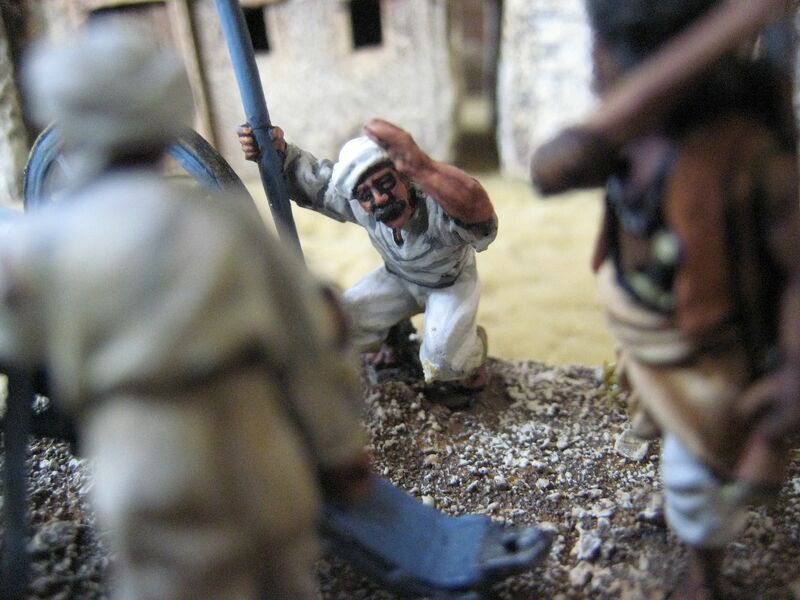 These photos were originally taken last summer as part of a potential project with a wargames company; but my 10-year camera lacks sufficient resolution (or whatever the technical term is) for the photos to be of top-notch publication quality and so they didn't make the cut. But it seems a shame to waste them and I enjoy seeing the troops out of their boxes. I've had photos published before - notably the deluxe "British Grenadier!" rule book, the third AWI scenario book from Caliver and a couple of issues of "Battlegames". I quite like the shots - it is supposed to be a French camp somewhere in the South. 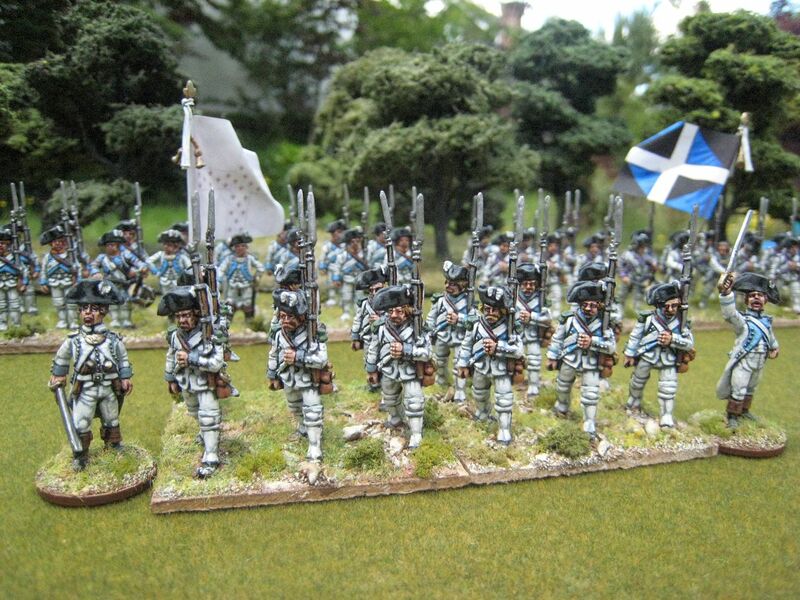 The infantry are mainly by Perry Miniatures. The camp followers etc are from Eureka's Revolutionary Wars range. The buildings are by Tablescape and the flags from GMB. You can see the individual units under the French label. 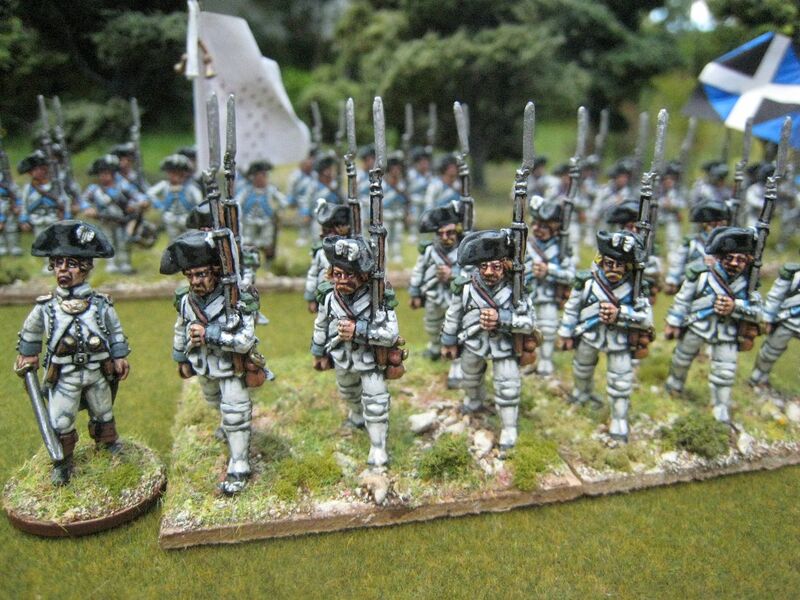 It's been a while since I painted French troops and I'm keen to do more, as they are very pretty troops. 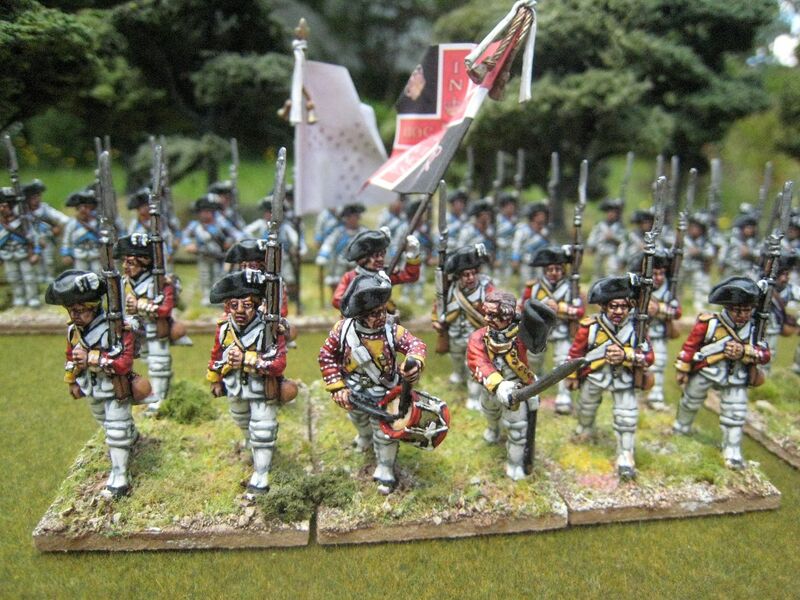 I have a half-finished unit of chasseurs that needs polishing off (this is the unit above flanked by two individually based Eureka Miniatures officers). The unit stalled because I lost one figure and it wasn't until Salute earlier this year that I finally decided that I'd never find this figure and so bought a whole pack just to replace it. 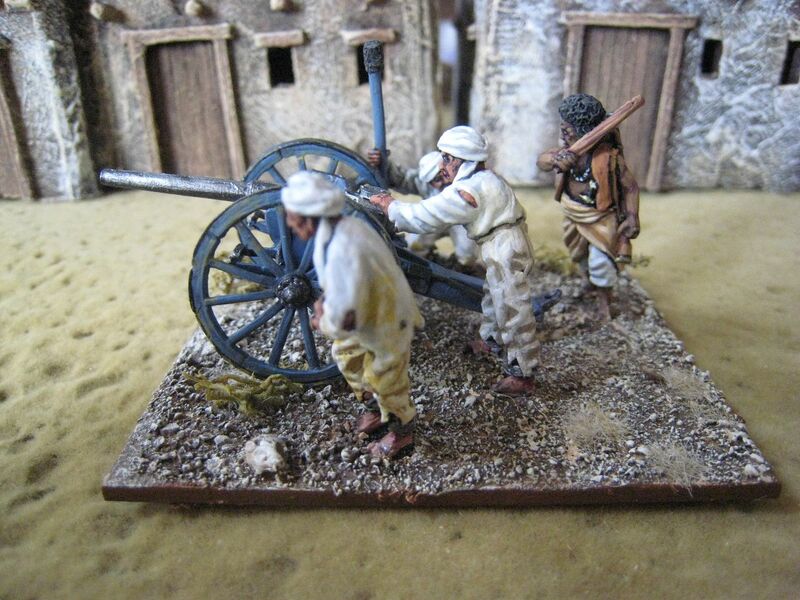 I'm intending to finish painting this unit next month. 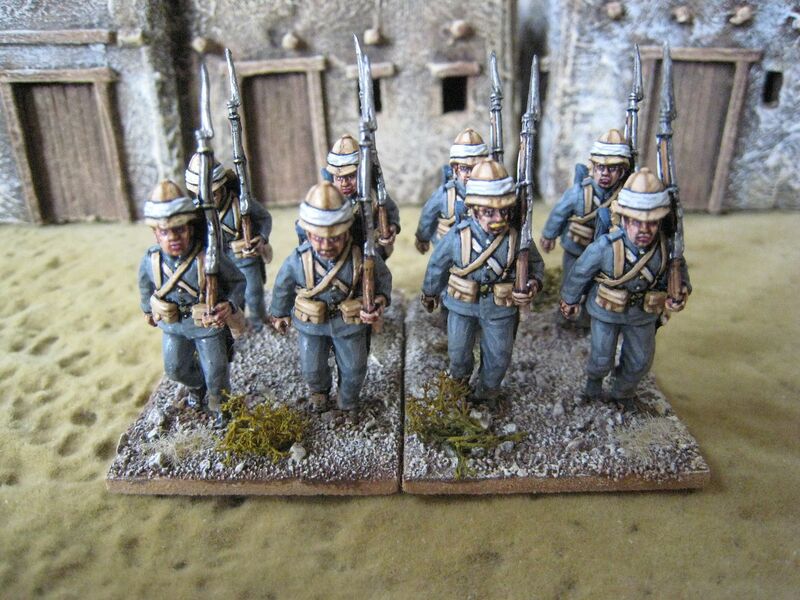 I'll then do a unit of grenadiers and some more line infantry, and I have in the lead pile the various command figures that Perry released. So at the moment I have 3.5 battalions of infantry and several skirmishers (who aren't shown here). 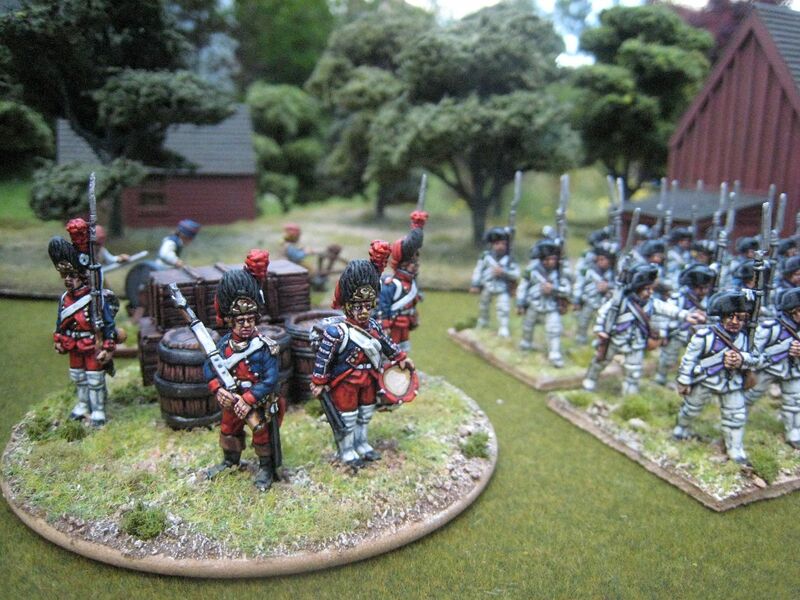 The figures are mainly from Perry Miniatures. 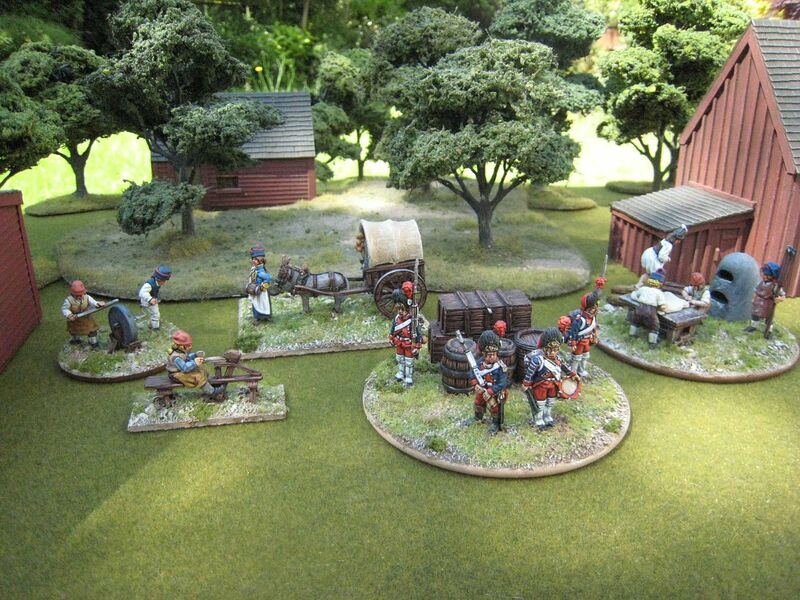 The singly-based officers, as mentioned, are from Eureka Miniatures' Revolutionary Wars range, as are the various camp follower sets. I've also added another label for the various "parades" I occasionally have of my collections. 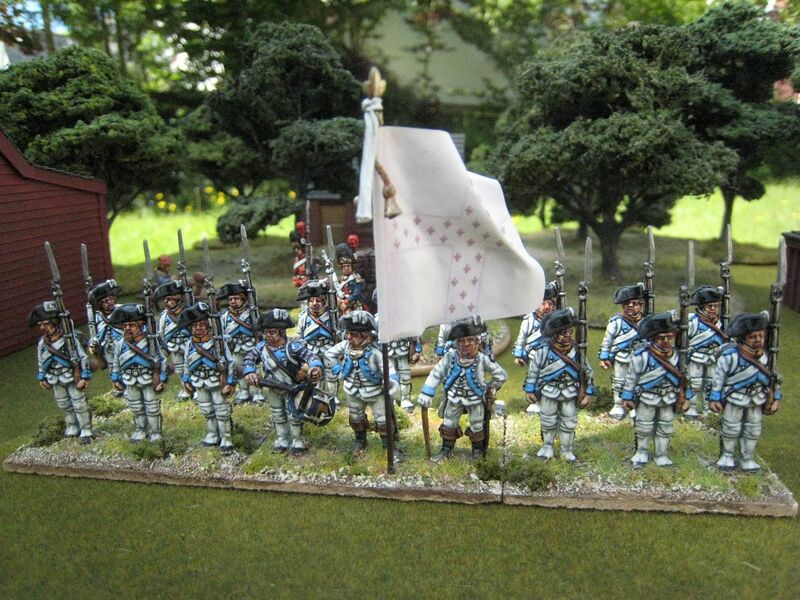 The original AWI parades are some years old now so I should have a go at re-doing those, although I suspect each side no longer fits onto 1 table - the American forces in particular are much larger now than they were in 2008. 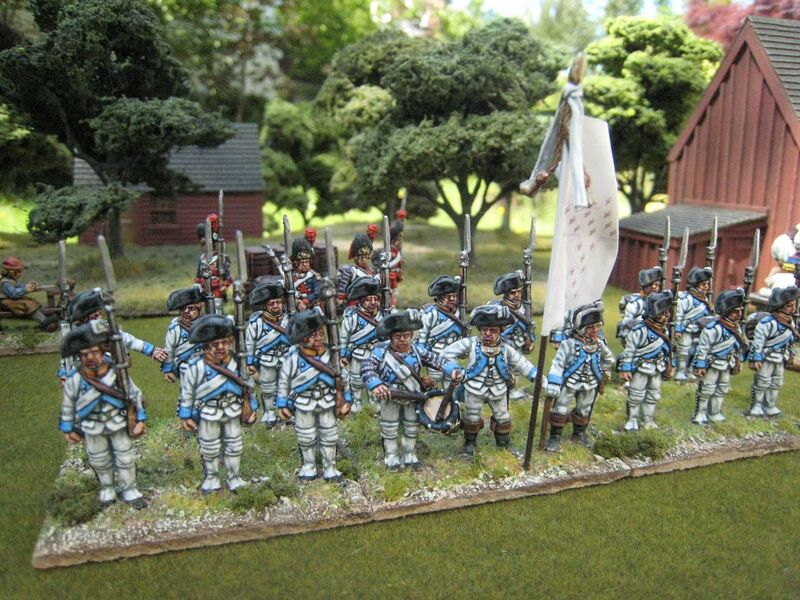 I did a parade of my 1815 French collection last year, but I seem not to have posted about it then for some reason; given everything I've painted since I'll have another session with my 1815 stuff at a later stage. Was there a direct causal link between France's involvement in the American Revolution and the fall of the Bastille? The cost of the war was one of the contributing factors to France's economic problems, which were a major cause of the French Revolution. It is also sometimes said that men who fought in American returned home with new-found revolutionary fervour, but I expect it's easy to overplay that. As it happens, I'm currently painting the Perry Miniatures sculpt of General Marcognet, a soldier who fought in America as a very young junior officer in the final stages of the AWI and by 1815 had risen to command a division in d'Erlon's I Corps. I wonder how many other soldiers were present at Waterloo who had also been in the AWI. 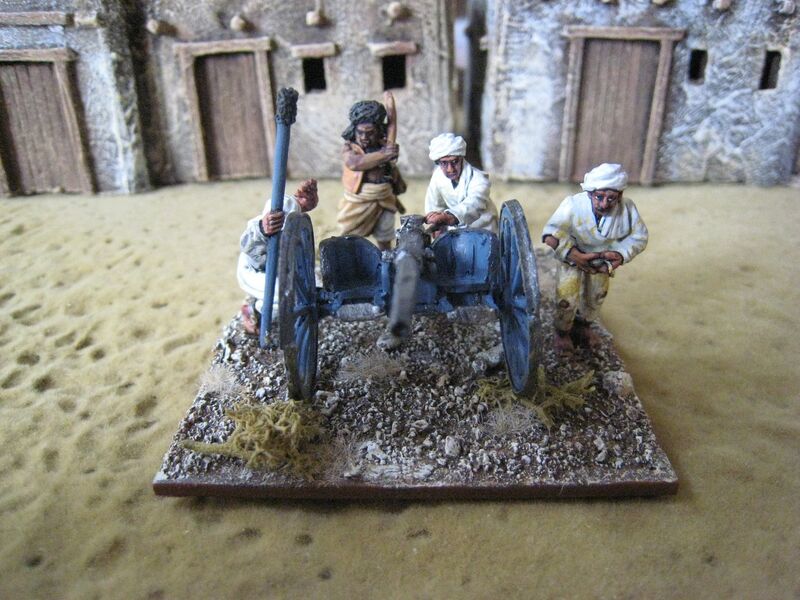 Perries' Sudan range and is a captured Egyptian gun and crew pressed into Mahdist service. As you can see, there are 3 Egyptians and a rather aggressive overseer. 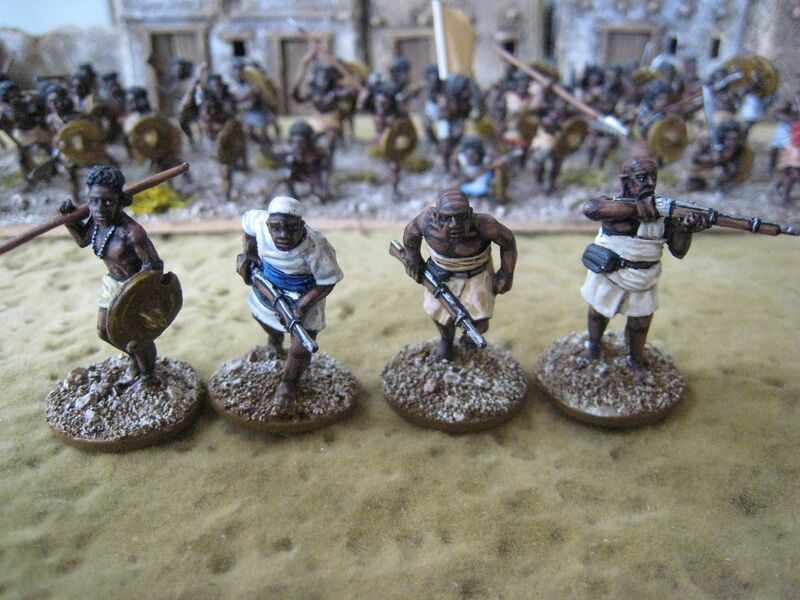 I assumed the Egyptians would be dressed in dirty white or off-white clothes, and I added a bit of variation in the colour of the shirts and trousers. I also used some brown and yellow pastel powder to suggest sand, dirt and sweat. Researching the colour of the gun was quite difficult. Some sources suggested bare metal while others showed painted dark grey. I've gone for the latter. The Sudan is one of those periods that I keep meaning to turn some serious attention to. 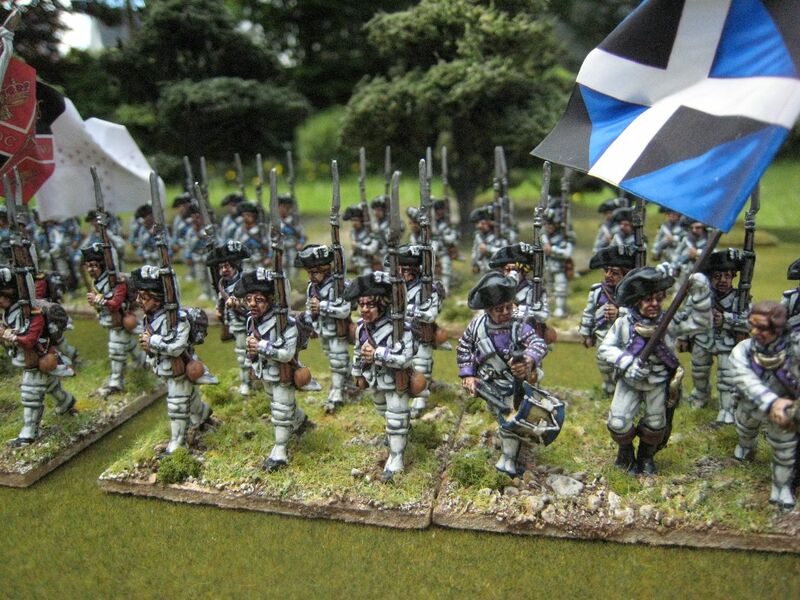 I have a mini-leadpile containing British infantry, hussars and naval types and from time to time I get the urge to paint some of them. 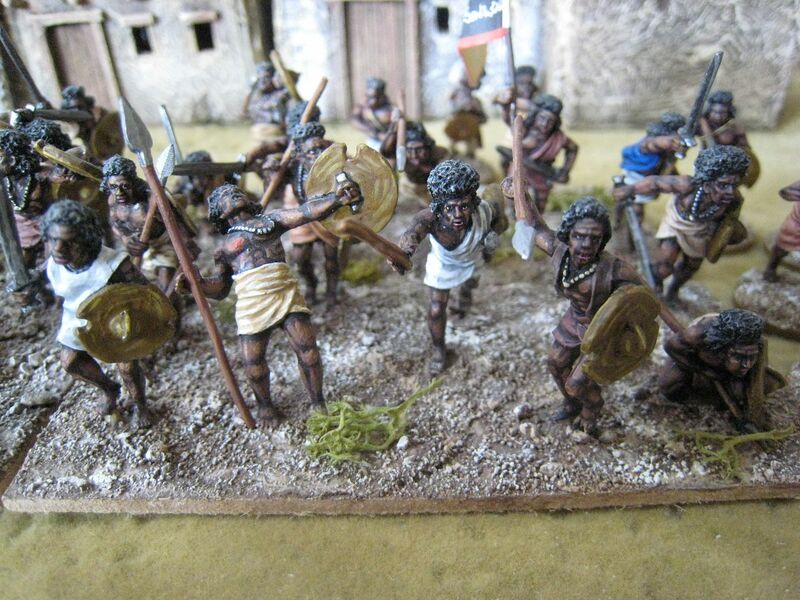 I based my Hadendowah, which I painted back in 2007/8 on large Gilder-style bases, which I sort of regret now as most ofthe rules I've looked at (such as "Black Powder") use smaller bases. So at some stage I'll probably rebase these, which might be tricky given that I think I used greenstuff to glue the figures to the bases. A couple of photos of the other pieces in my Sudan collection are shown below. The buildings in the background are by Touching History. 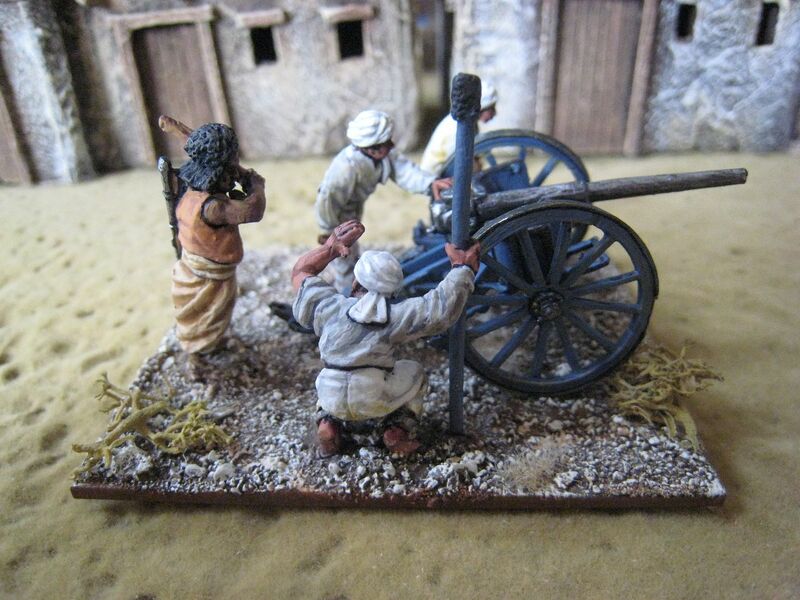 Back in the days when Paul Darnell was still making stuff I bought a load of these Sudanese/Middle Eastern style dwellings together with a Mahdist fort. 4 figures. Painted March 2015.